Few people could have seen any of this coming — not even the biggest Vegas Golden Knights optimist or the biggest Wild pessimist. Few people could have seen any of this coming — not even the biggest Vegas Golden Knights optimist or the biggest Minnesota Wild pessimist. This time last year, the Wild was nearing the finish line in the long process of attempting to protect assets in an expansion draft in which new franchise Vegas was going to get a good Minnesota player no matter what. Chuck Fletcher, in what turned out to be one of his last big moves during his final offseason as Wild general manager, made what generally seemed like a good deal by convincing Vegas to sign restricted free agent Erik Haula — with the understanding the Wild would also trade prospect Alex Tuch to the Golden Knights. It allowed the Wild to escape the expansion draft without losing a core forward or top-four defenseman — and allowed flexibility to make another subsequent trade with Buffalo — as it geared up for what it hoped would be a strong regular season and deep playoff run. Almost a year after that deal with Vegas, though, the Wild is well into golf season after a five-game, first round playoff defeat at the hands of the Jets. Fletcher was dumped as GM, and a search for a new personnel boss is ongoing. Vegas, meanwhile, continues to be one of the great stories of the NHL season. 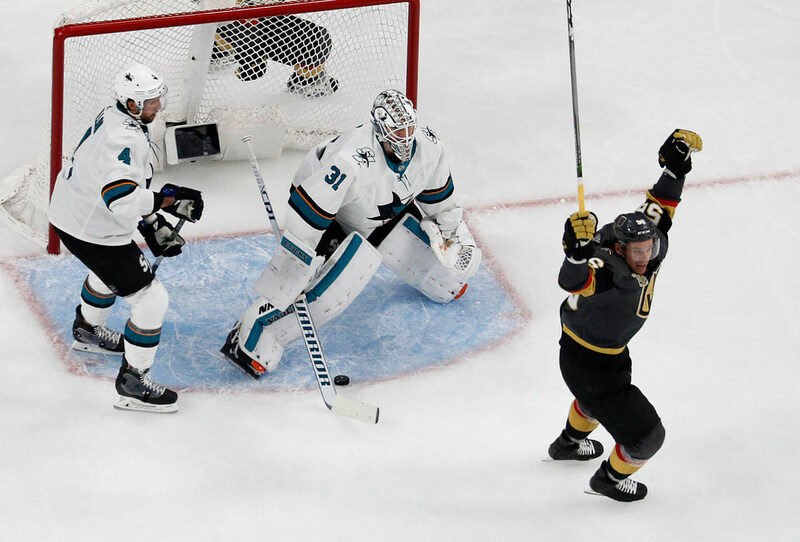 The expansion Golden Knights are all the way to the conference finals after finishing off San Jose in Game 6 Sunday. Plenty of players have had a role in their surprising success, with Haula and Tuch chief among them. The speedy Haula had 29 regular-season goals (second on the team) and has six points in the playoffs, while the 6-4 Tuch had 15 goals in the regular season and has four more so far in the playoffs. The success of Vegas, and those two players in particular, has not been lost on Wild fans — leaving room for hindsight second-guessing. The problem is, I’m not sure what else Fletcher could have done differently in the moment. His subsequent trade of defenseman Marco Scandella and Jason Pominville to Buffalo for Marcus Foligno and Tyler Ennis still left the Wild with four established defensemen and freed up more than $2 million in cap space (after re-signing Foligno). Fletcher was forced into that unfavorable salary situation in part because of the questionable Pominville contract but also because a lot of productive young players who had helped the Wild reach the playoffs five years in a row (at the time, now six years in a row) were due to get paid. Haula had his moments with the Wild, but he often was relegated to the fourth line and had never topped 15 goals. Tuch was still a prospect with just six games of NHL experience. Fletcher could have let Vegas just have whatever unprotected Wild player it wanted, but that might have resulted in the loss of someone like Eric Staal, Matt Dumba or Scandella. But what if there wasn’t expansion at all? How would the Wild roster have looked this year without the existence of Vegas? It’s fun — or torturous, from a different perspective — to think how the Wild might have looked with Haula and Tuch on the ice this past season. But even without expansion, the Wild would have been hard pressed against the cap and probably would have needed to trade the rights to Haula — a restricted free agent who was one year from unrestricted free agency. And the Wild still probably would have needed to make the type of deal they made with Buffalo to free up even more space. Tuch would probably still be on the roster — the type of young and cheap player the Wild will need in the coming years — but at the time of the deal he was still just a barely 21-year-old wing. The Wild seemed to bet that Ennis could give them the speed and scoring they lost when Haula departed, but Ennis — a three-time 20-goal scorer — scored just eight goals this year for Minnesota. Maybe Fletcher undervalued Haula and Tuch, but sometimes deals are made for the right reasons and they just don’t work out. It sure worked out for Vegas, which is just four wins away from playing for a championship in its first season and has already advanced deeper in the playoffs than any of Fletcher’s teams did.